Founded during the Age of Heroes by the hero-mage Alatannin, the Academy serves as an arena where mages can interact and learn from one another. The Academy serves the interests of specialized magic but does not limit its collection of lore and research. The Academy is one of the oldest organizations in the realm and prizes itself as the foremost archive and resource of magical studies. Academy halls are prominent in almost every large city in every province. The halls serve as archives of lore, barter posts for arcane items, and centers for magical research and assistance. 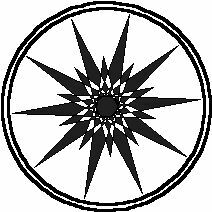 Its symbol is a ten-pointed star. Though each Academy hall is independently run, exchange of information and continual communication between halls is constant. In the west, the High Academy, the largest and most powerful of the halls on the mainland, is located in the city of Darkwell on the shores of Darksea in Icuna. In the east, the Academy hall at Atanaeum on the island of Atana, has also gained a great deal of respect and recognition; the Atanaeum Academy hall rivals the size and power of the High Academy. The Academy's primary motivation is the acquisition and keeping of knowledge. Members are asked to tell the halls of their travels and any experiences gained as well as to donate magical artifacts for study. In return, the Academy often provides their members with access to magical training allowing them to acquire hard to find or Academy spells. The Academy regularly sends members to investigate a subject of interest or to find and retrieve objects of magical worth. Mana a mana--Magic for magic's sake. Maga a maga--Mage for fellow mage. Mana e lor e vis e mana--Magic is knowledge is power is magic. Academy members cannot take Weapon Proficiency for Mortal or greater weapon, buy Armor Proficiency for armors greater than Studded or Ring Mail (4-points), or learn to use any shields. The Star of the Academy is a small silver medal bearing the symbol of the organization and marks the character as "accepted" to study magic. The Star functions as a fine quality Magic Point reservoir and is given to the member full. Until the member can cast Hold Power, he or she must find another mage to recharge the reservoir. The Star of the Academy is considered a personal item and cannot be taken, stolen, or used by anyone other than the Academy member. Magespeak is the spoken and written language of the Academy. It is a magical language and only members can speak it, write it, and understand it. All spells given to members are written in Magespeak and can only be copied by members. The skill Read Magic and the spell Translation do not translate Magespeak. The Stave of the Archmage is made from a fine quality wood of the member's choice. A padded-weapon staff of no less than five feet in length must be made and covered in dark gray cloth and designed with runes of magic. The staff must bear the symbol of the Academy. The Stave functions as a mythic quality Magic Point reservoir. The Stave inflicts magical Critical damage; the mage must call "MAGIC CRIT" when using the stave. Finally, the Stave is permanently enchanted with Mnemonic II allowing the mage to store spells to be invoked from the staff. The Stave of the Archmage is considered a personal item and cannot be taken, stolen, or used by anyone other than the Academy member. With the Age of Remembering, the realm once again faced the daunting spectre of the Arche of Spirit. Recalling the Accords of Day and Night, held in 1196 CE, the hero-mage Alatannin and the Academy established a kin organization to regulate the use of Spirit magics. The Council of the Table of Bones was founded and established in the city of Umbrua on the southern shore of Darksea in Icuna. The Council is headed by the Archon of Spirit from the High Academy at Darkwell. 1) The first, second, and third circles of the Arche of Spirit shall be open for unrestricted use. The magics of this ken have been deemed to be safe and without evil. 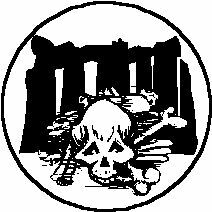 2) The Fourth, Fifth, Sixth, and Seventh circles of the Arche of Spirit are restricted to sanctioned members of the Academy and the Council of the Table of Bones. Such magics shall not be invoked within the walls of any sanctuary, village, town, or city under the Crown save in times of true necessity. Furthermore, such magics shall never be raised against the Crown, its citizens, or the powers of Day. 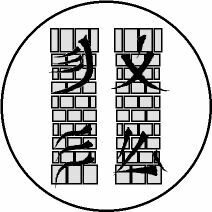 3) The Eighth, Ninth, and Tenth circles of the Arche of Spirit are closed to all casters save for those sanctioned and ordained members of the Council of the Table of Bones. Such magics shall be used only in times of dire need. Members must be mistically bound to use Spirit magics in accordance with the Edict of Day and Night and in the interests of the Path of Light. Members of the Table strive to uphold the Edict of Day and Night and enforce its law wherever they travel. Casters who are not sanctioned by the Council are approached and asked to become a member of the Table or to discontinue their practices. Mages who disregard the Edict of Day and Night are swiftly dealt with by the Council and members may be required to handle delivering warnings or punishments. Furthermore, the Table works in conjunction with the Academy in the pursuit of magic especially spells, items, and research from the Arche of Body and the Arche of Spirit. Council members cannot take Weapon Proficiency for Mortal or greater weapon, buy Armor Proficiency for armors greater than Studded or Ring Mail (4-points), or learn to use any shields. The Stave of the Necromancer is made from the long bones of a giant creature. A padded-weapon staff of no less than five feet in length must be made and covered in black and painted to look like a weapon of bones. The staff must bear the symbol of the Council. The Stave functions as a superior quality Magic Point reservoir. As per the eighth level Spirit spell, the Stave inflicts magical Mortal damage; the mage must call "MAGIC MORTAL" when using the stave. Versus undead, the Stave inflicts double damage. Finally, the Stave can be used to invoke Drain allowing the weapon to absorb 1 Magic Point per dead creature up to a maximum of 20 MPs (the capacity of the staff as a reservoir). To Drain, the member must touch the Stave to a dead creature for a count of 60. The Stave of the Necromancer is considered a personal item and cannot be taken, stolen, or used by anyone other than the Council member. Anyone attempting to take, wield, or use the Stave will take an automatic Mortal hit to the arm. Of all the disasters of the Age of Silence, perhaps the most significant was the destruction and unraveling of the magics held by the Twin Towers of Elemental Power. Built thousands of years ago, the Towers watched over the forces of air, earth, fire, and water. It is rumored that the first Towers were reconstructed from the remains of ancient Icuni structures designed for the same purpose. The locations of the Twin Towers are kept secret and the towers themselves are protected by great enchantments. Only members know of their existence and their powers. The first tower, the Tower of Air and Water, resides deep in the northern forests of Reiel near the south shore of Dawnsea. The second tower, the Tower of Fire and Earth, is built in the Yellow Wastes of western Ashur somewhere north of the Tal River. Allied with the Academy, the Keepers of the Twin Towers seek to maintain, research, and regulate elemental magics in the realm. Known only to the most powerful of elemental mages, the realm is constantly shifting and changing especially with the use of magics that harness or affect the land, the sea, and the weather. In addition, the magics unleashed by the Cataclysm continue to cause disastrous effects across the realm. Storms, droughts, earthquakes, floods, fires, and eruptions often come as the price for powerful elemental magics. Therefore, the Keepers work to quell the remaining pockets of elemental chaos left behind by the Age of Silence as well as to preserve the great spells and grand enchantments that oversee the realm. Furthermore, the Keepers strive to curtail the use of rogue elemental magics and seek out the membership by elemental mages who have not yet joined the Academy or the Twin Towers. Lastly, the Keepers search out the realm for artifacts and relics of elemental power especially any lore or item that once belonged to the ancient Towers. The full description of the Keepers of the Twin Towers can be found in the full-version of the Archaea sourcebook.